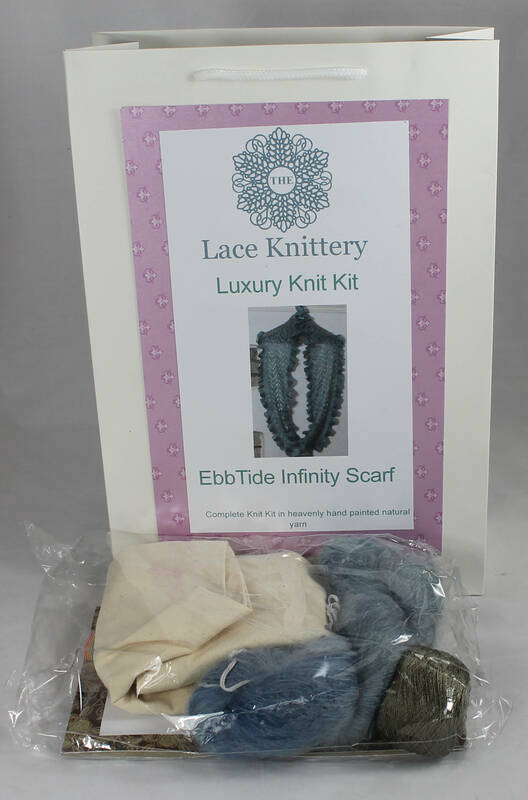 This listing is for an entire kit to make my Ebb Tide Mobius Infinity Scarf. I designed the pattern from my love of beach combing. 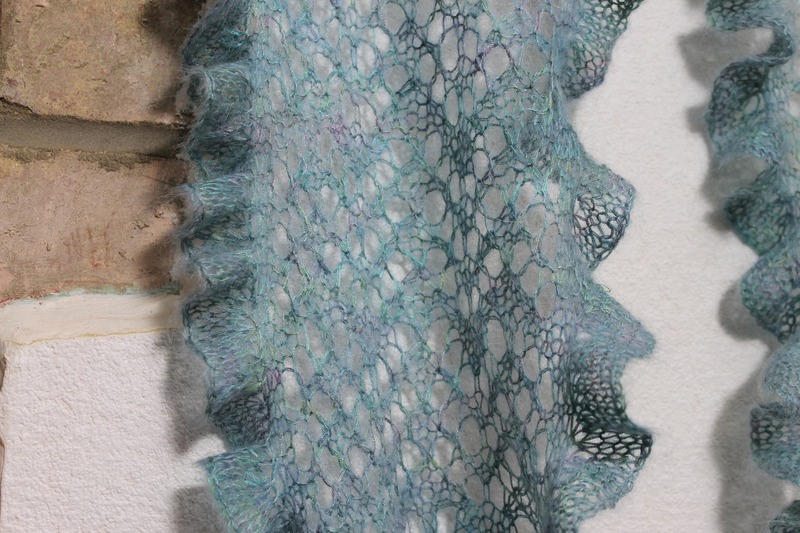 The centre of the scarf has a ridged and rippled surface reminding me of the ridges in wet sand as the tide recedes. 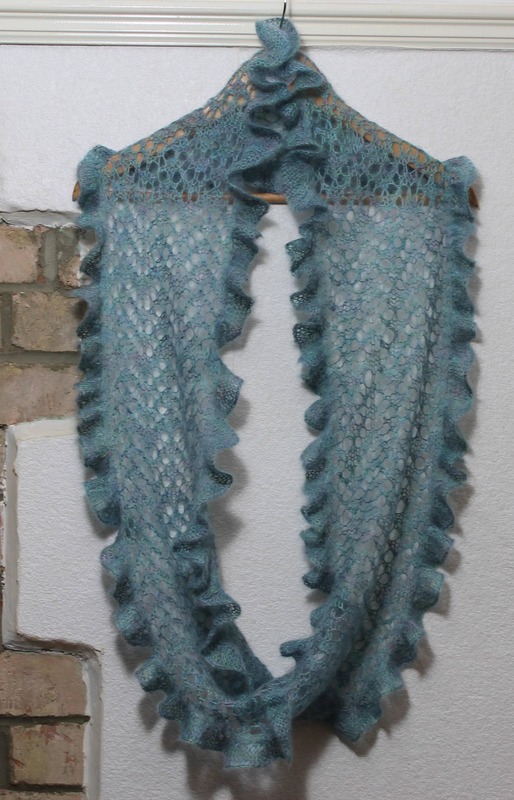 It is edged with a ruffle inspired by the seaweed edging rock pools on my favourite beach and just waiting for exploration. It is knitted using my own watercolour knitting technique. This combines two different hand painted, natural yarns which makes each project completely unique. 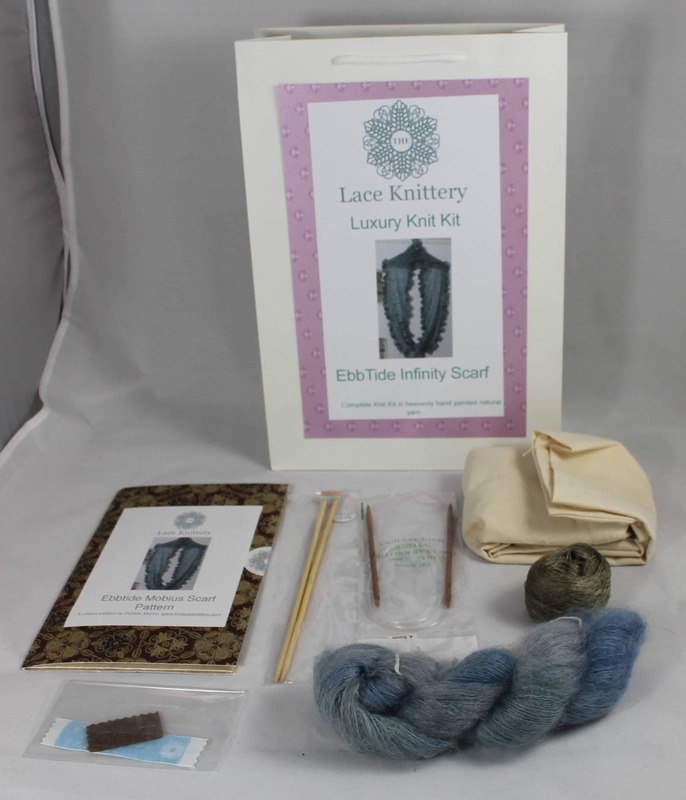 The kit contains everything to make the pictured scarf, all that's needed is a pair of scissors to cut the yarn at the end of your project. My own unique pattern in a keepsake folder. Hand painted kid mohair and silk yarn in soft blue over dye (this is a technique that means the yarn has been hand painted by me twice allowing a little of the original colour to peek through). Hand painted pure silk in soft green. A pair of straight bamboo knitting needles. 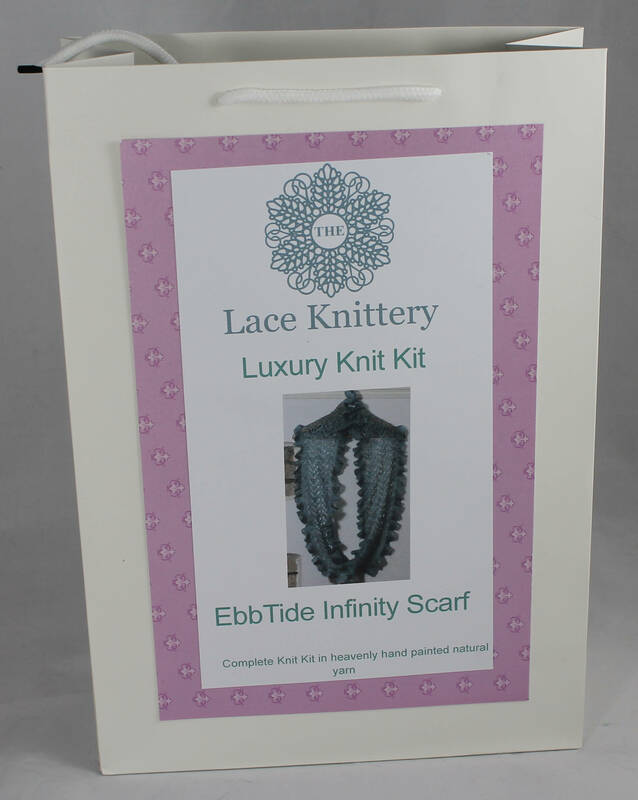 A sewing needle to weave in the ends and stitch the label into place. Roomy cotton project bag to keep your project safe but with handles allowing you to knit on the go. It will be further packed in a sturdy box for posting making sure it reaches you in pristine condition.